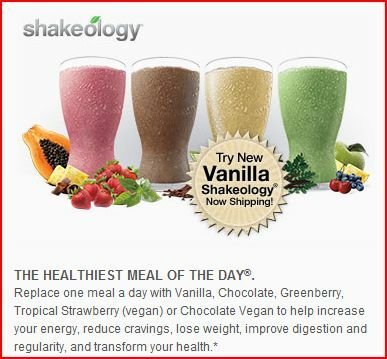 Already have a stash of Shakeology you’d like to use with the 3-Day Refresh? Perfect. Then here’s everything else you’ll need. This kit comes with 6 packets of Vanilla Fresh (high-protein shake), 3 packets of Fiber Sweep (digestive health drink), and 1 Program Guide. This is how you break the cycle of bad eating and get a jump start on healthy weight loss. 30-Day Money-Back Guarantee – We’re so sure that you’ll see the benefits of the 3-Day Refresh for weeks to come that we’re backing the program with a 30-Day Money-Back Guarantee. Do the Refresh and if you’re not still feeling lighter, leaner, and cleaner 30 days from now, return it for a full refund of the purchase price (less s&h). ** With 3 Day Refresh on Home Direct, you’ll receive this item every 30 or 90 days (based on your selection), shipped directly to your door and billed to the credit card used today in the amount of $59.95 per kit, plus a Super Discount shipping and handling fee of only $2.00 per item (that’s a savings of about $7.00 a month off one-time shipping fees!). You may cancel at any time to avoid future charges by contacting Customer Service at 1 (800) 427-3809.